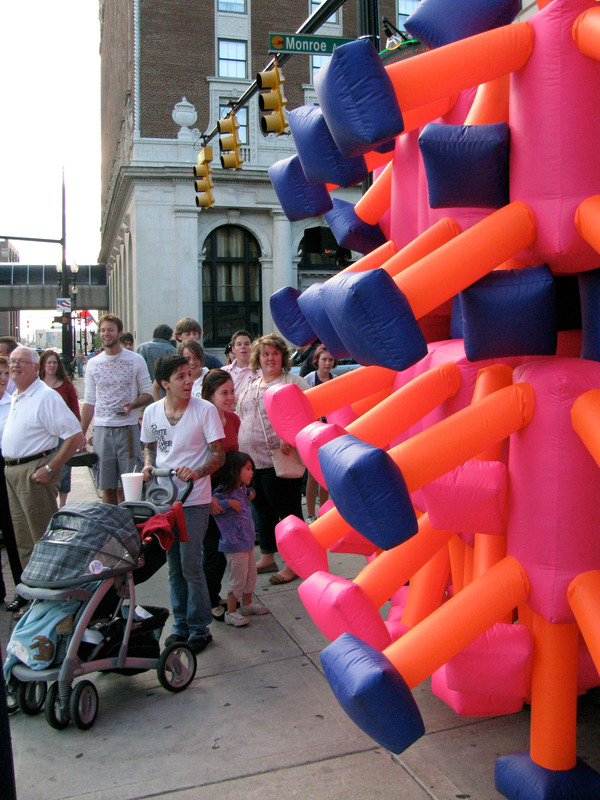 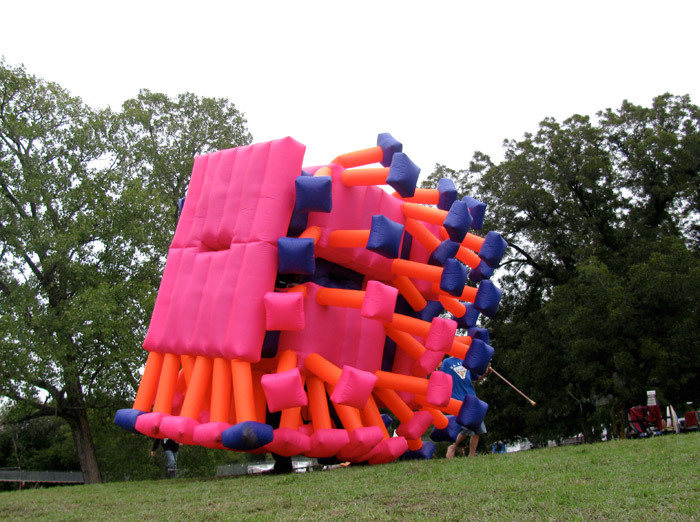 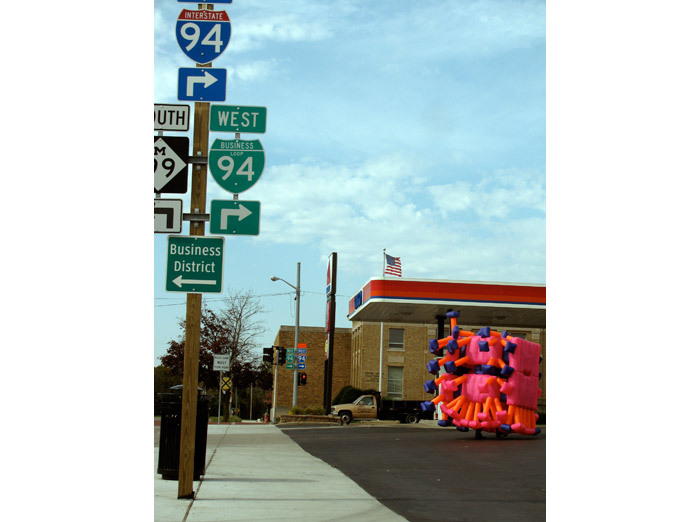 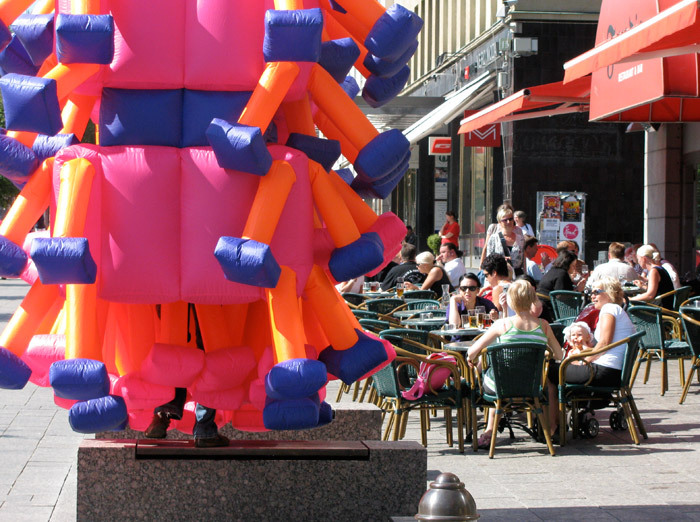 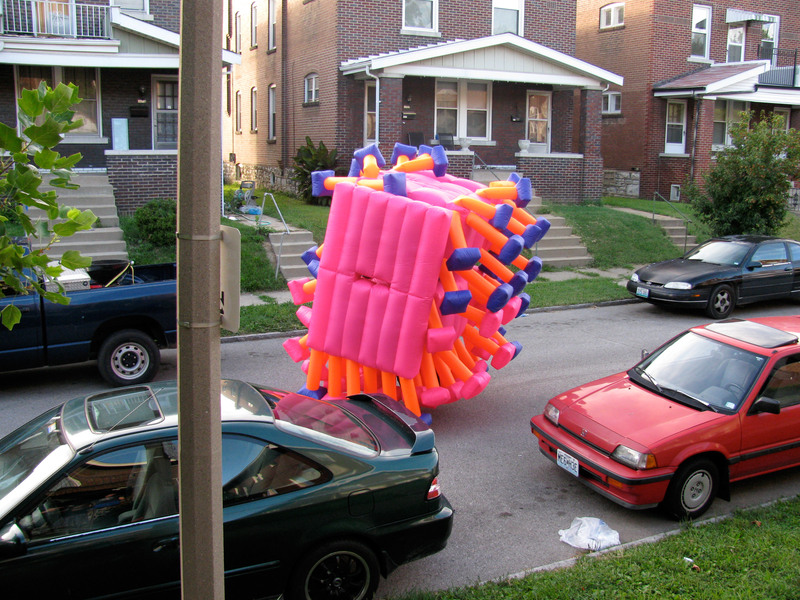 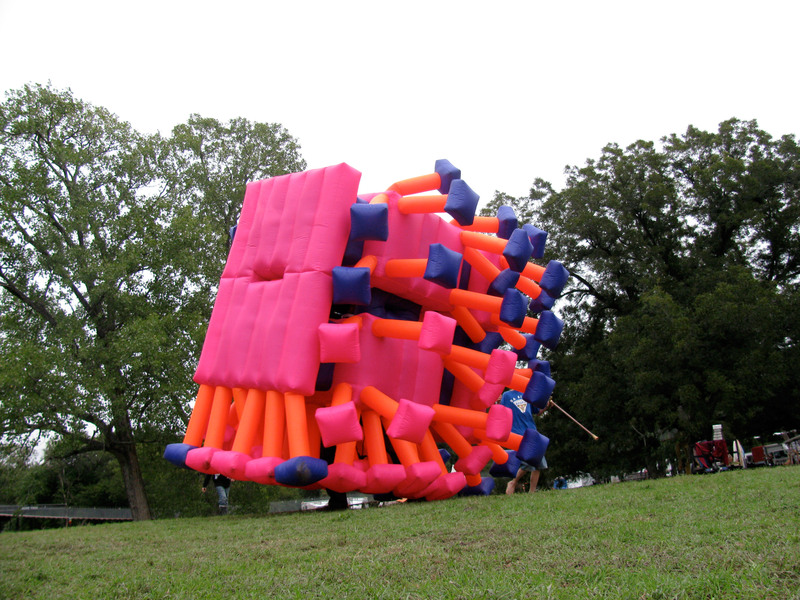 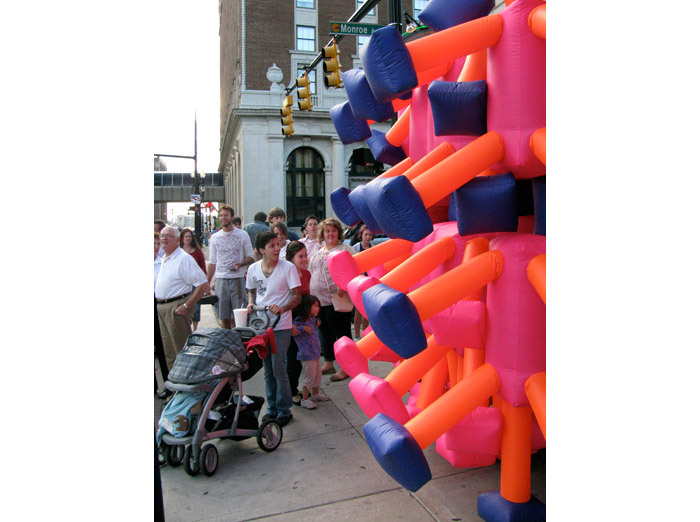 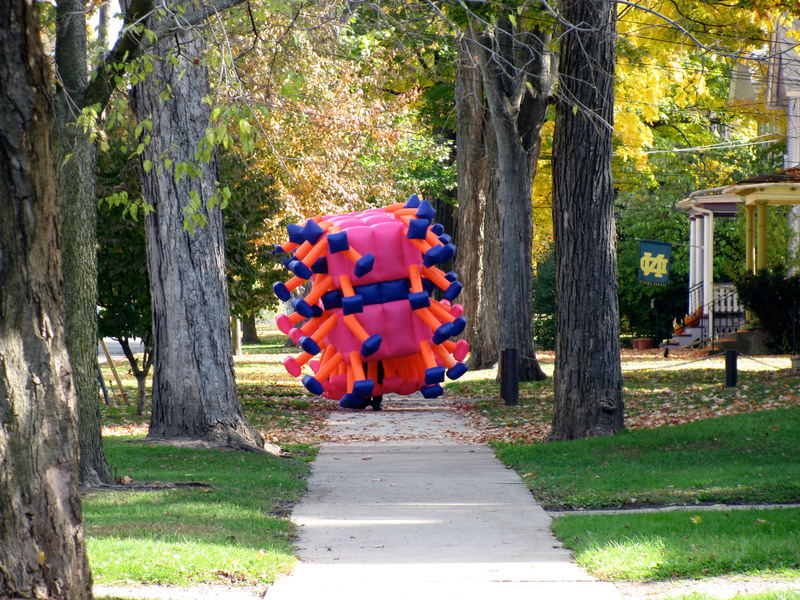 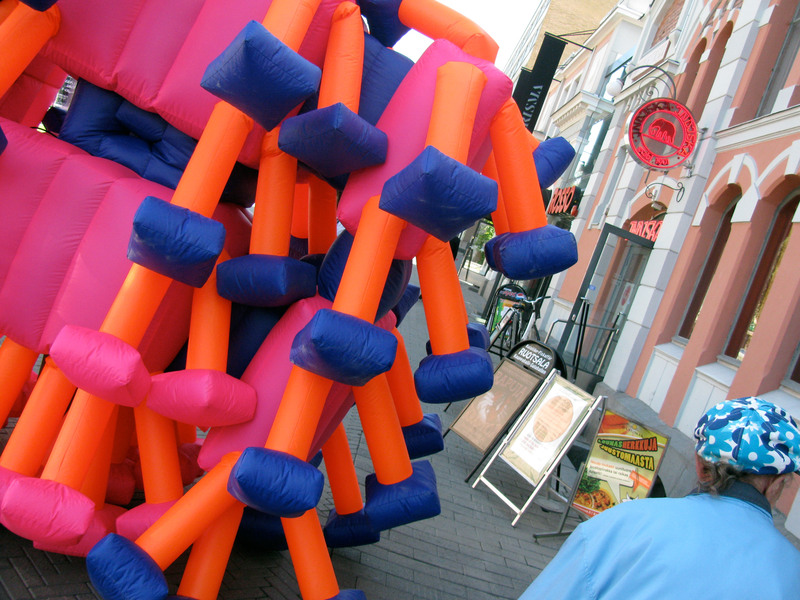 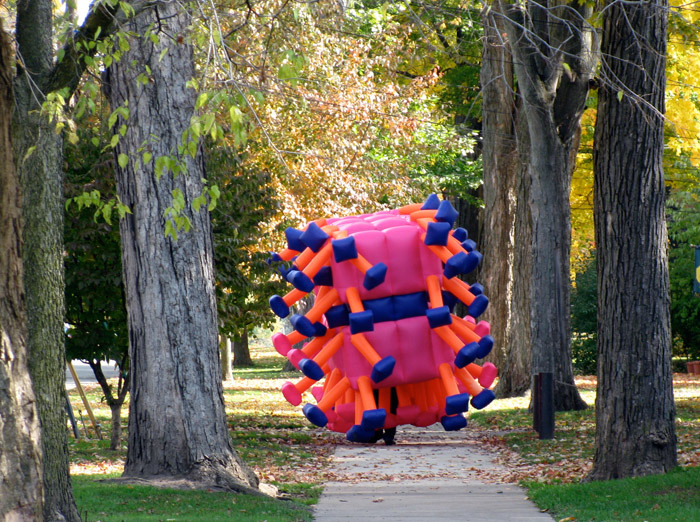 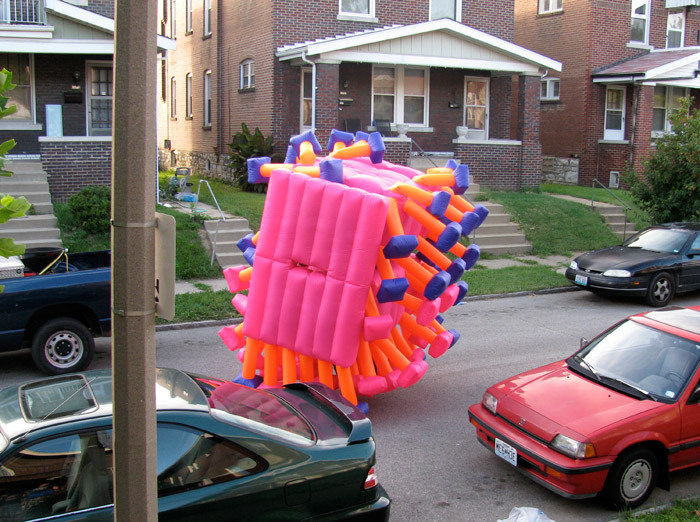 During a residency in Vaasa, Finland I made a new inflatable suit specifically designed to be nimble in urban environments while appearing to take up a large amount of space. 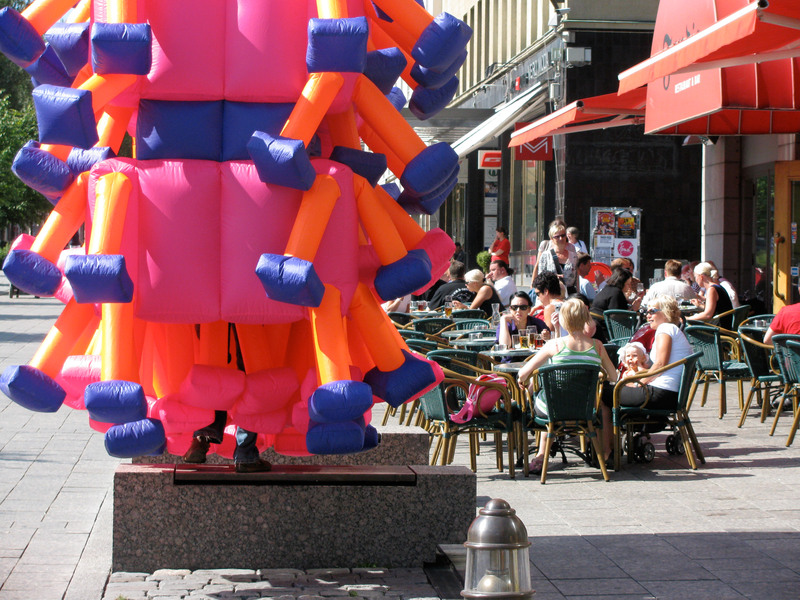 I toured and performed with the suit in rural and urban parts of Vaasa. 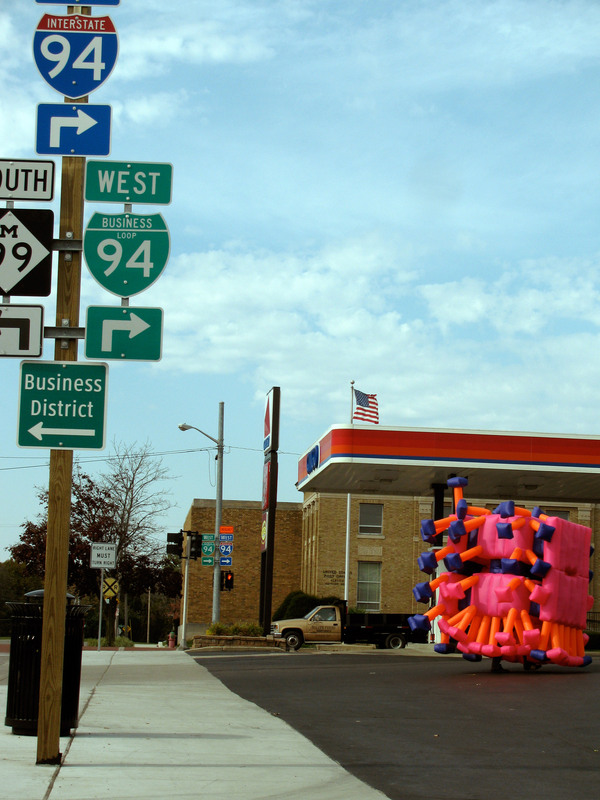 Then I brought the suit back to the US and did a Texas and Midwest tour. 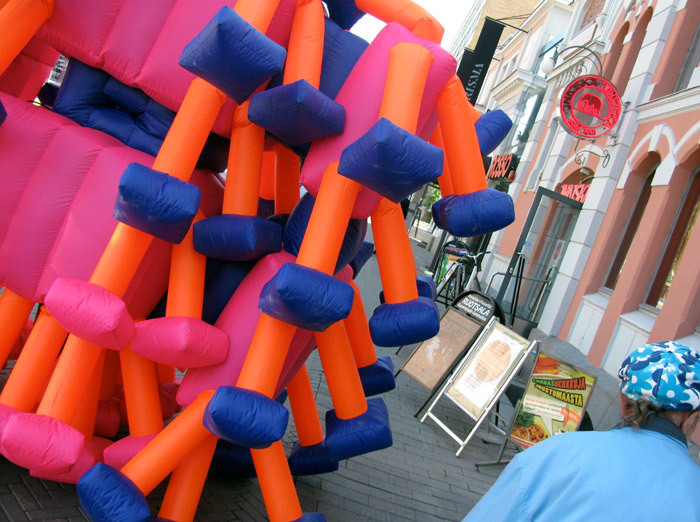 The suit was also performed during a group exhibition in Milan, Italy.